The LipoLife range was born out of the need to supply high quality, highly absorbable liposomal products, manufactured in Europe, designed to improve health and well-being. The ultimate goal, to create a new class of bio-available supplements, based on scientific research and using exacting nano-particle technology which would provide health benefits never before achieved with natural products. 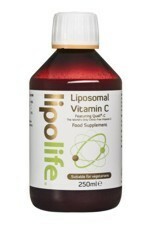 What started with an idea in 2009 for Liposomal Vitamin C has resulted in an ever expanding range of top quality liposomal products. LipoLife - a small dose makes a BIG difference. 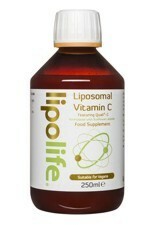 LipoLife Gold Liposomal Vitamin C Soy Free is the most absorbable, highest quality product of its kind. All synthetic Vitamin C is manufactured in China. But the Quali-C used in LipoLife products, is the world's first branded Vitamin C to be produced in a world-class DSM-owned facility in Scotland, delivering 1,000mg liposomal vitamin C per serving. Now available using sunflower lecithin as a Soy Free formulation.